(CNN) - It wasn’t as if God's voice boomed through sun-parted clouds, telling Kent Brantly to move his family to Liberia. Still, the young doctor said, the call was clear. It echoed through the congregation where he was raised, Southeastern Church of Christ in Indianapolis. He saw it in the aunts and uncles who spent their vacations running Bible camps, organizing youth groups and serving missions themselves in Africa. For Brantly, that meant serving a two-year medical mission in Liberia with Samaritan’s Purse, a Christian relief organization. But in a grim twist that garnered international headlines, the 33-year-old contracted Ebola while treating patients and was airlifted back to the United States. Brantly and a fellow missionary, Nancy Writebol, who was serving with SIM, another Christian aid organization, are being treated for the disease at Emory University Hospital in Atlanta. After Liberia's outbreak began in March 2013, Writebol volunteered at a hospital in Monrovia, where she disinfected doctors and nurses working with patients stricken by the disease. 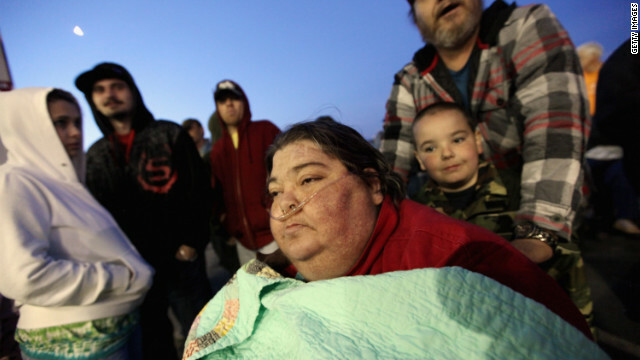 “Mom is tired from her travel, but continues to fight the virus and strengthen her faith in her Redeemer, Jesus,” said Jeremy Writebol, Nancy’s son. On Friday, Brantly said that he felt a spiritual serenity even after learning his diagnosis. 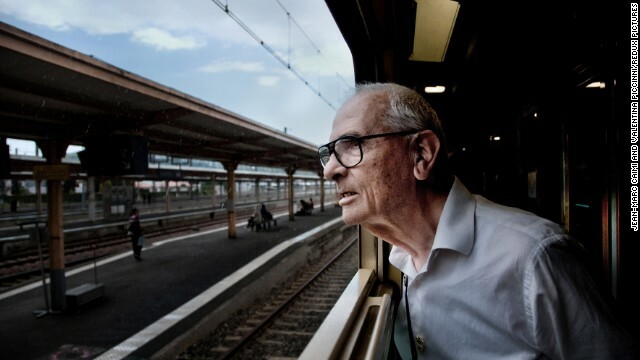 “I remember a deep sense of peace that was beyond all understanding,” he said. “God was reminding me of what he had taught me years ago, that he will give me everything I need to be faithful to him. 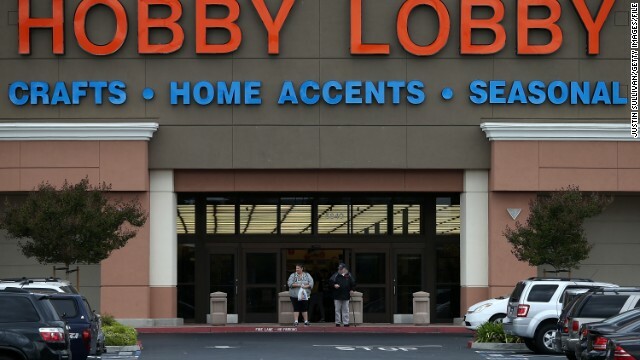 Washington (CNN) – For the Greens, the Christian family behind the Hobby Lobby chain of stores, their battle with the Obama administration was never really about contraception. It was about abortion. After all, the evangelical Greens don't object to 16 of the 20 contraceptive measures mandated for employer coverage by the Affordable Care Act. That puts the family squarely in line with other evangelicals, who largely support the use of birth control by married couples. 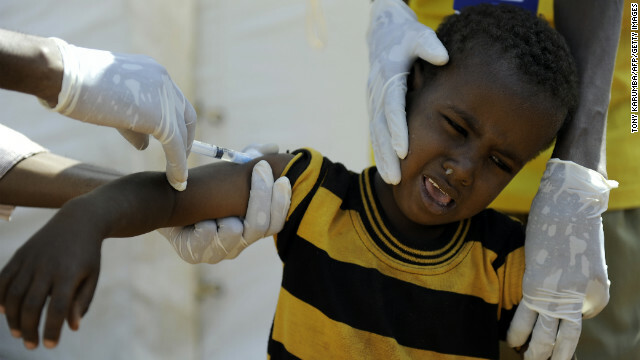 A Somali boy is vaccinated at a refugee camp in Kenya. Editor's note: Dagfinn Høybråten is a vice president of the Norwegian Parliament and chairman of the GAVI Alliance Board. GAVI is a public-private partnership that works with governments, vaccine producers, faith-based organizations and others to expand access to vaccines and immunization. Since its launch in 2000, GAVI has helped immunize 370 million children in the poorest countries. Despite their political, religious and ethnic differences, leaders from around the world are coming together for today's National Prayer Breakfast in Washington. 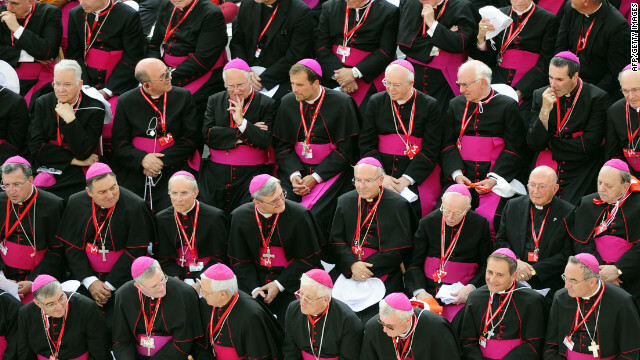 As they do, it is worth noting that faith and science are also coming together around the world to promote healing and equality in the form of access to vaccines. Washington (CNN) - Religiously affiliated organizations will be able to opt out of providing their employees with insurance coverage for contraceptives under updates to an Obama administration mandate that the Department of Health and Human Services is expected to unveil on Friday, according to two sources. 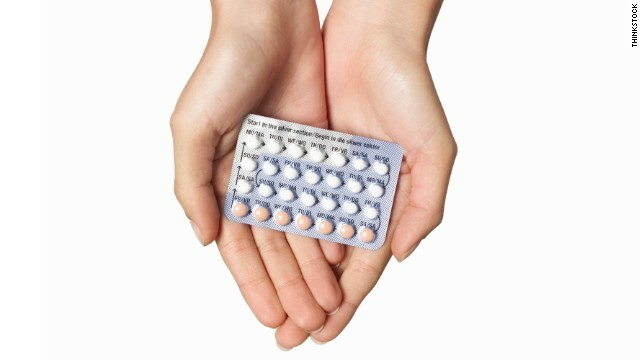 In March, after an uproar among religious institutions that didn't want to pay for contraceptives, the Obama administration offered several policy suggestions that would require the administrator of the insurance policy, not the religious institution or the insurer, to pay for contraception coverage and invited comment on those proposals. Editor's note: Watch more of Dr. Sanjay Gupta's interview with Melinda Gates on Sanjay Gupta MD on Saturday at 4:30 p.m. ET and Sunday at 7:30 a.m. ET. (CNN) - Responding to simmering controversy among Catholic bloggers about her new birth control program, Melinda Gates - a practicing Catholic - said she will not shrink from her role as an advocate for poor women. "Part of what I do with the (Gates) Foundation comes form that incredible social justice I had growing up and belief that all lives, all lives are of equal value," said Gates during a recent interview with CNN chief medical correspondent Dr. Sanjay Gupta. About the flak over her Catholicism she said: "We're not going to agree about everything, but that's OK."
Jesus depicted healing a sick child. 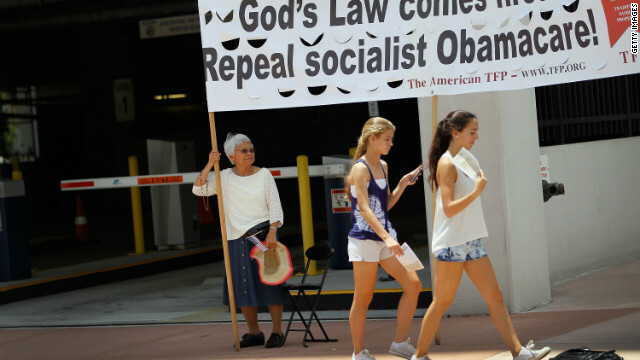 Would Jesus support health care reform? It is sad that Jesus has been demoted to being a politician. Jesus plainly said "My Kingdom is not of this world." Movements to use Him to promote their agendas, whether they be on the Left or Right, are extremely suspect in the eyes of this Christian. Jesus would SO have been a democrat. 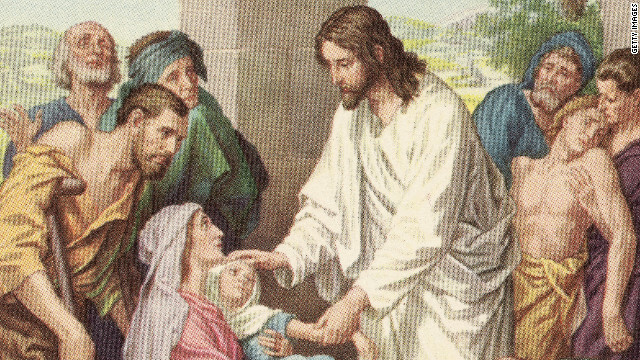 He taught us to care for the sick...not to profit off illness. I don't know how Republicans can live with themselves and call themselves Christian. (CNN) - He was a healer, a provider of universal health care, a man of compassion who treated those with preexisting medical conditions. We don’t know what Jesus thought about the individual mandate or buying broccoli. But we do know how the New Testament describes him. The Gospels are filled with stories of Jesus physically healing the most vulnerable and despised people in his society.